This is one of the must have games for the Nintendo Wii U, and for a limited time, you can pick up your very own copy of Super Smash Bros. for $44.96 from Amazon. Free shipping applies as well, and if you have prime, it will arrive in two days! Thought 4 player fighter was fun, the Nintendo Wii U version supports up to 8 player battles and nearly all Nintendo type controllers! Enough writing, go buy it already before the price goes up again! 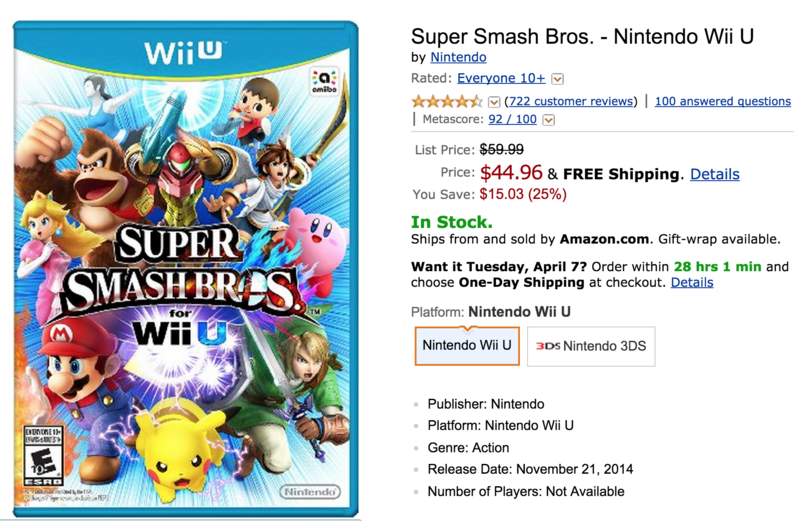 Click here to buy Super Smash Bros. – Nintendo Wii U – $44.96 !